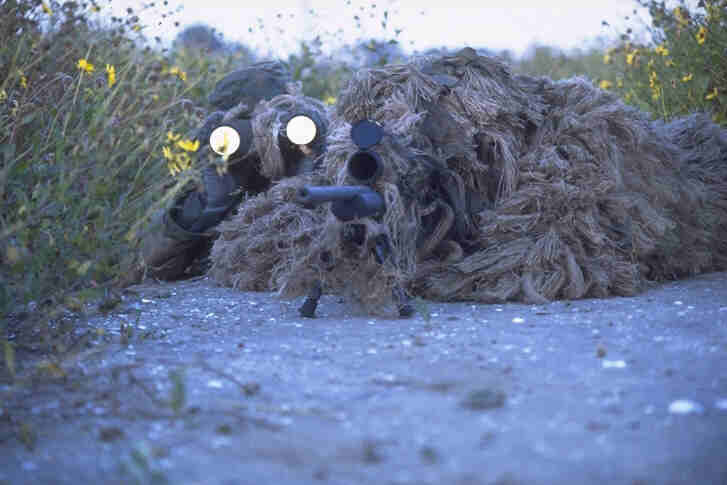 The Sniper's Nest is a page that is dedicated to Law Enforcement Officers, Military Servicemen, Hunters, Marksmen, and all types of resposnsible shooters that enjoy the skill and discipline involved in successfully operating a firearm. This page contains inforamtion on Ballistics, Engagement of Moving Targets, Weapon Specifications, Minute of Angle instructions, Windage, usefull Range tips, and general hints and information to help the informed Marksman. Generic Sniper formulas are given that will apply to any calibur, but all specific ballistic information given is for the .308 calibur (762mm)Federal Boattail Hollow Point. Check the Links for more information on Weapons, Accessories, Optics, and more. This page is still being built, with information and updates added, so be patient and check back regulary. To access information, click on the menu items. Enjoy your stay at the Sniper's Nest.